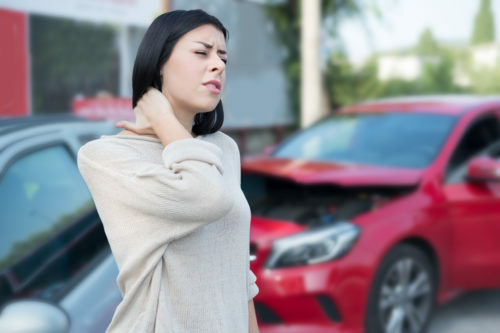 A whiplash injury usually occurs to the person’s neck. It happens due to a sudden acceleration and deceleration of force that leads to unrestrained and rapid front and back movement of the head and neck. It’s common in people who have suffered from auto accidents in which their vehicle is hit by another vehicle from behind. The pain caused by whiplash injury in many cases is excruciating. Therefore, it is important to seek prompt treatment. In such a scenario, chiropractic care is often the best way to alleviate pain and tackle soft tissue injury naturally without any surgery. Chiropractic treatment targets the bones and muscles (the core of the problem), which help alleviate pain and ease symptoms rapidly. It makes the foundation for the soft tissue sound and aligns it, which relieves stress on the damaged and strained muscles. Not only that, but the treatment also focuses on a range of motion and posture to ensure overall body functioning. Furthermore, joint alignment and muscle relaxation techniques also help improve blood circulation and reduce inflammation and swelling. It is then followed by muscle strengthening exercises to stabilize the affected joints; and lifestyle & nutritional counseling for improved healing potential. Chiropractic care holistic nature helps patients experience quality living and engage in daily activities as they did before, without any limitation or pain. If you have whiplash pain, then call us at 214-404-PAIN (7246) to schedule an appointment with our experienced chiropractor today! Let us assess your condition and provide you with an individualized chiropractic treatment plan to help you experience long-lasting pain relief. After a thorough assessment of your health, pain and injuries, our experienced chiropractor will create an individualized chiropractic care treatment plan for you encompassing the best techniques.